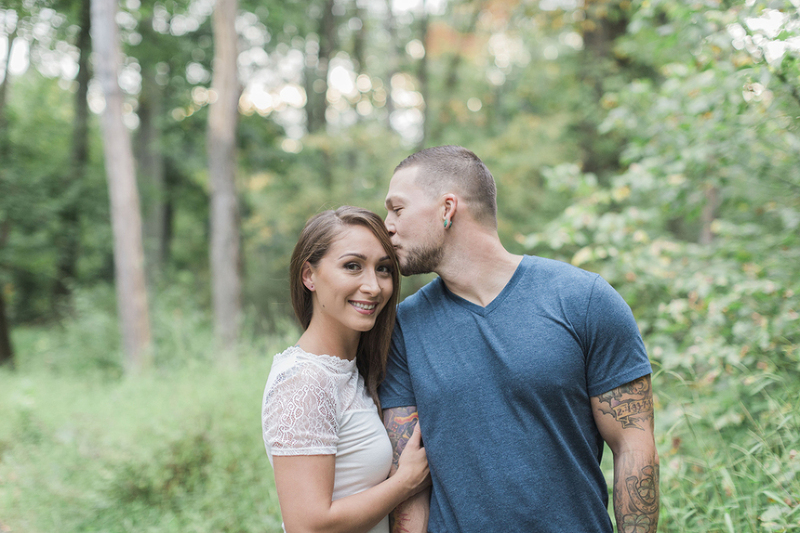 I adored capturing Jess and David’s engagement session at The Stone Bridge. Their love was so easy to photograph because it’s so true. Plus, we also enjoyed some of the best light, temperatures, and locations throughout! I’ve known David since high school, and I ran into him and Jess while I was showcasing my photography at a bridal open house. I was so excited to hear from Jess just a few days later because she said both she and David wanted me to photograph their wedding. The times when life comes full circle are the best! I often hear from wedding clients that they would prefer to opt out of an engagement session because they’re hoping to save money or had a friend offer to take pictures of them. But, why would you turn down a complimentary engagement session? You simply cannot! That’s why I offer them – I want to get to know you and your love, I want to capture you in a place that is meaningful to your relationship, and I want you to start to feel comfortable in front of the camera. We’re about to spend a lot of time together on your wedding day, so we should definitely start to feel like friends! The complete bonus is you receive photos of this season of your lives to enjoy and feature throughout your wedding. Jess and David, I hope you could feel all of the reasons why engagement sessions are something I believe in wholeheartedly. PINIMAGE PINIMAGE PINIMAGE PINIMAGE PINIMAGE PINIMAGE PINIMAGE PINIMAGE PINIMAGE PINIMAGE PINIMAGE PINIMAGE PINIMAGE PINIMAGE PINIMAGE PINIMAGE PINIMAGEI’m already counting down the days to your wedding next year at Airlie! I absolutely loved capturing you, and I can’t wait until you’re both in front of my camera again as a bride and groom.